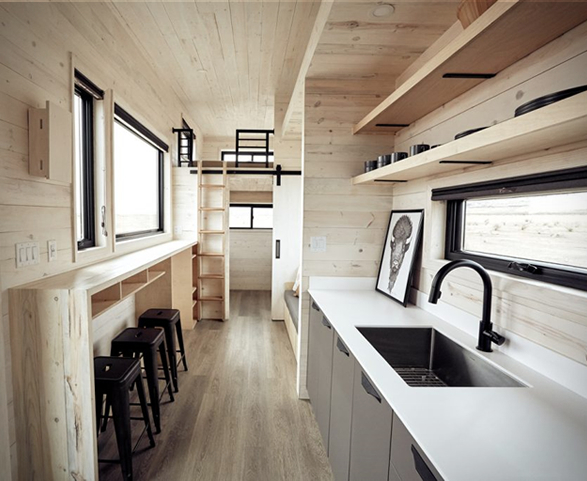 The tiny house trend is officially here to stay. 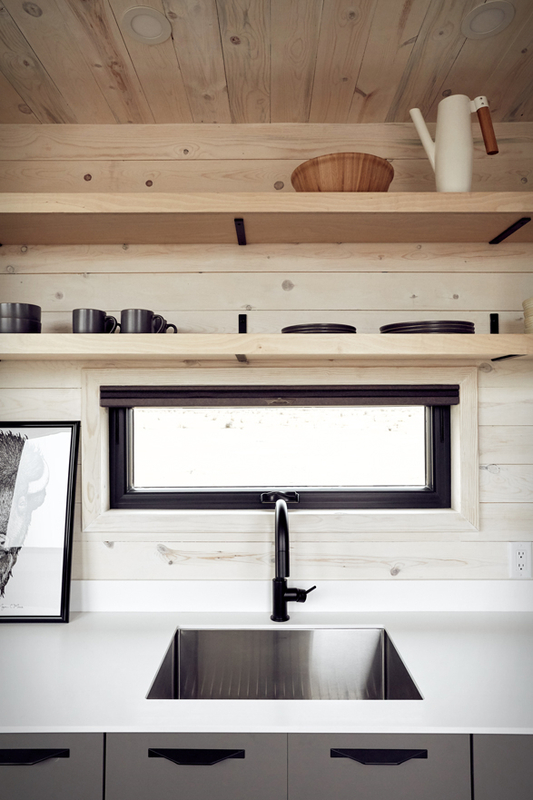 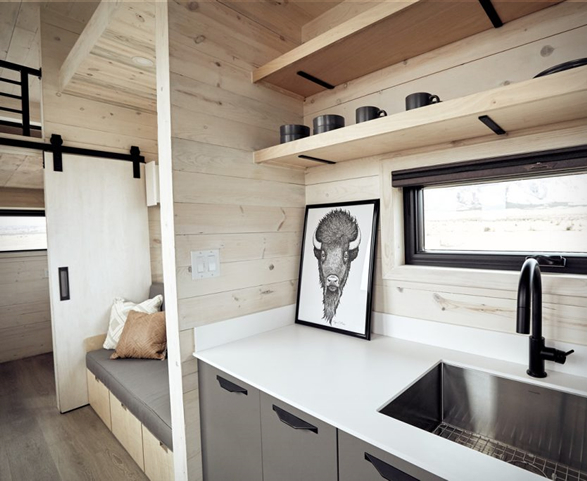 Tiny houses are relatively easy to build and move from place to place, and many people are rejecting more spacious dwellings in favor of pared-down, efficient homes. 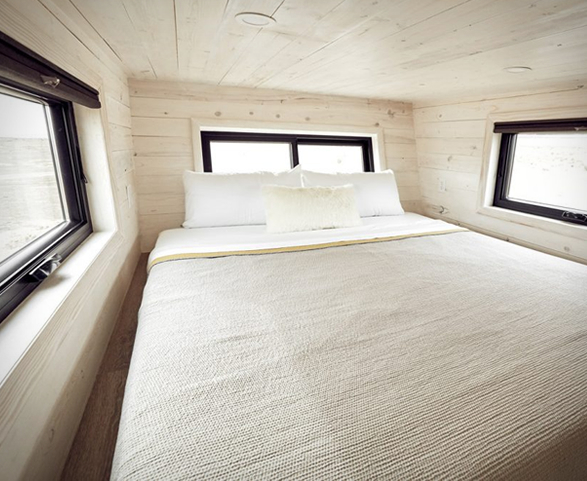 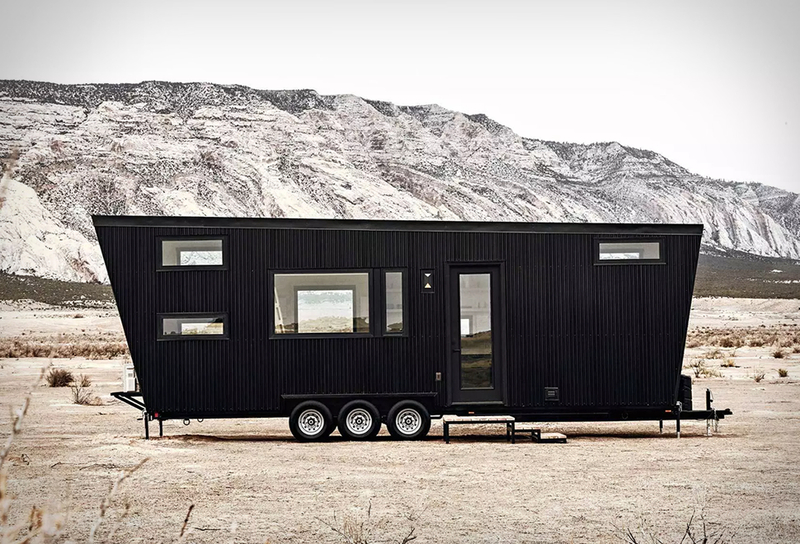 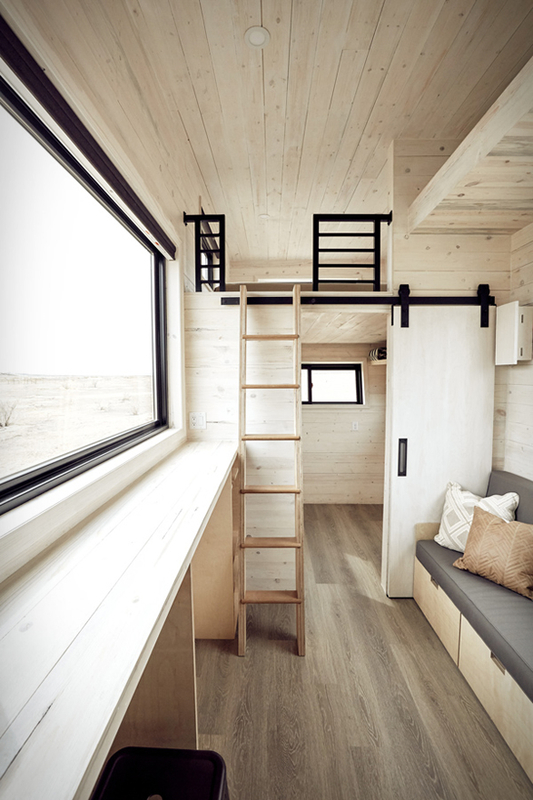 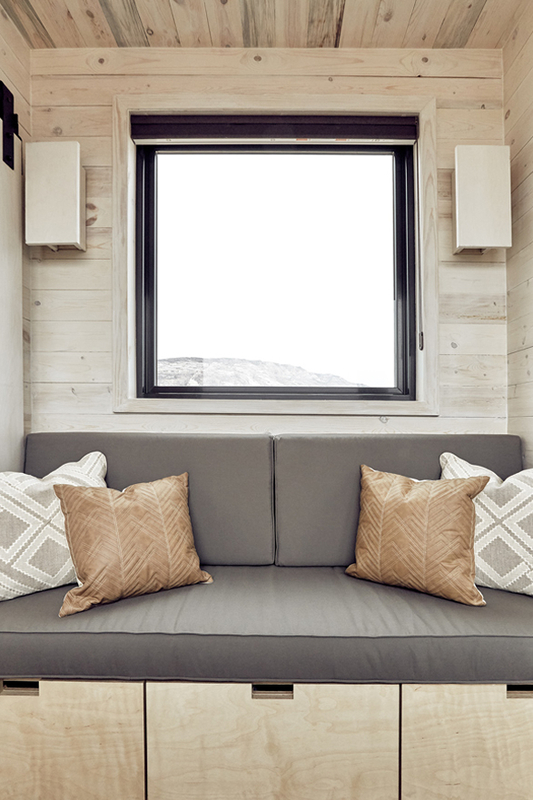 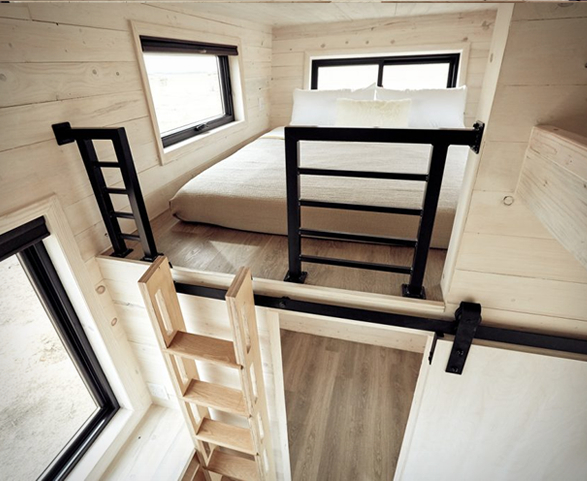 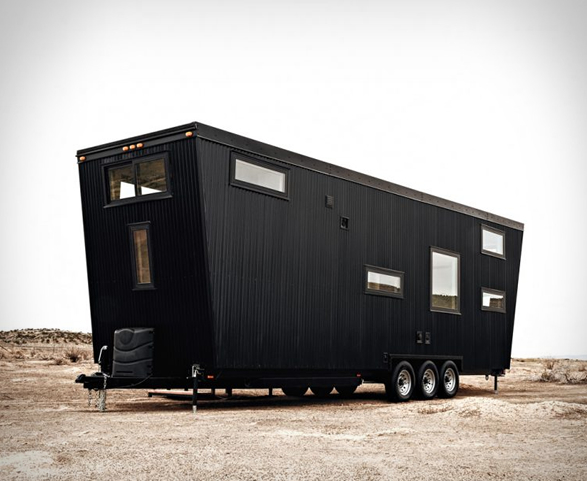 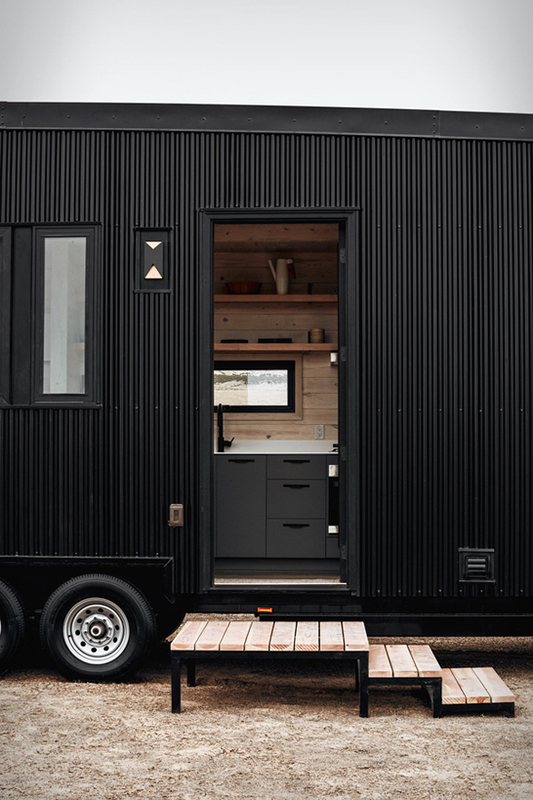 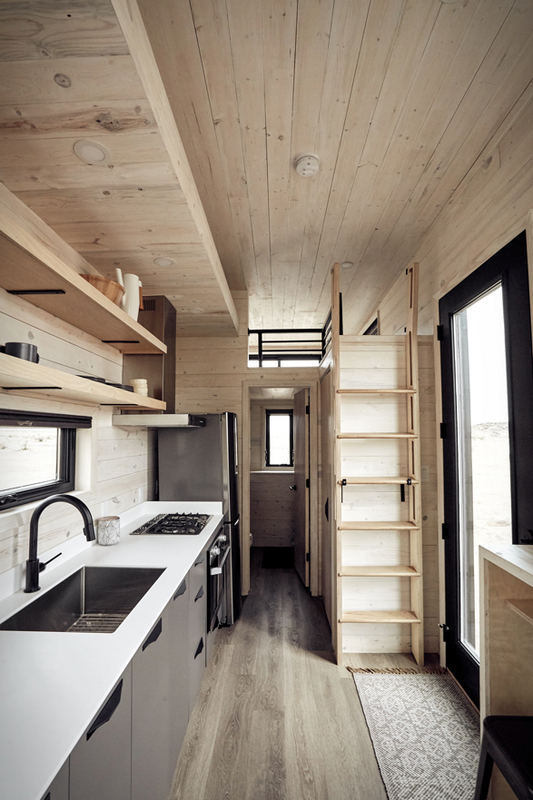 The Drake tiny house, by Land Ark, sleeps up to 7 people and is sized like an RV to give you ultimate freedom of use. 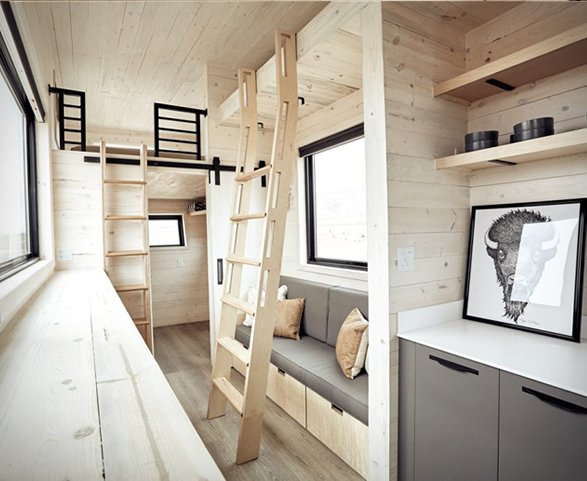 The flexible interior includes two loft bedrooms and another multipurpose room that can be used as an office space or a third bedroom. 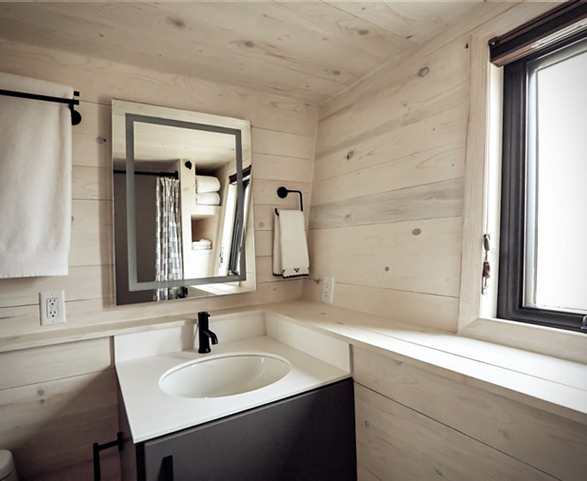 There is also a fully equipped kitchen, and a bathroom that includes a bathtub and shower, vanity unit and standard flushing toilet.